Pier House, One of the finest houses & situations on the West Coast of Scotland. 4 stunning bedrooms. A huge lounge with stunning views across Loch indaal. 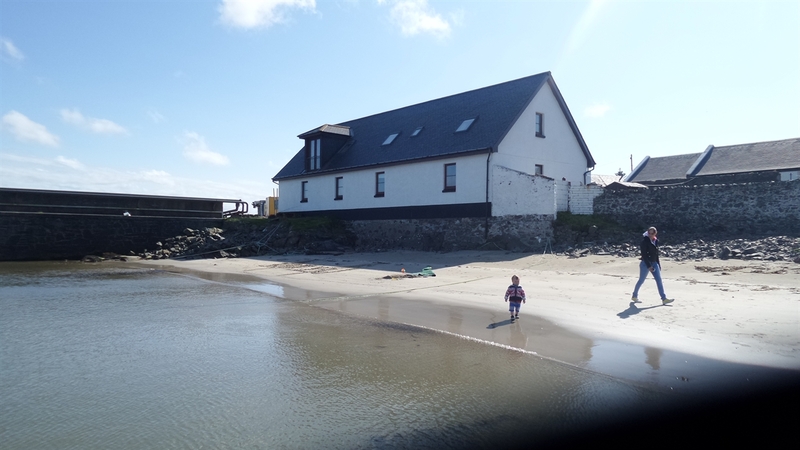 Beautifully situated on the Pier side at Bruichaladdich, Islay is the original Pier Masters House. This is a stunning property, beautifully restored to an exceptional standard. Complete with a picturesque beach to the front and boat slipway to the side. This 4 bedroom property benefits from magnificent views of Bruichladdich Distillery and over Lochindaal to Bowmore distillery and beyond. The house is presented over 2 floors with the living room on the upper floor to maximise the exceptional vista. The house has all modern facilities and comes well equipped and presented. There are three double bedrooms, a twin bedroom along with 2 double sofa beds in the living space on the first floor. There is a main bathroom with shower and bath, a separate wc and the master bedroom is complete with its own en-suite and shower.